Undeterred by the charges of booze possession, actor and host Ali Saleem blew kisses at the camera as he was brought to court in Karachi on Wednesday. 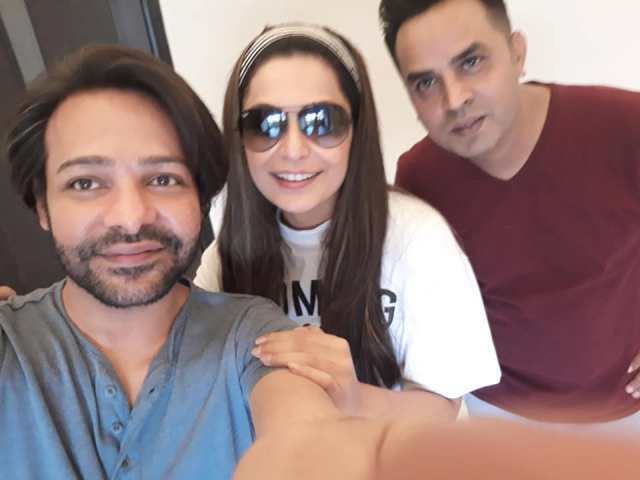 Ali Saleem, better known for his character on television, Begum Nawazish Ali, was arrested along with a friend by the police Tuesday night from a guest house. According to police, both were intoxicated when they were arrested. Bottles of liquor were also found at the guest house, the police said. Ali Saleem's blood alcohol test turned out positive. The media initially reported that actor Meera was also at the guest house at the time of the raid, however, the police denied this. Talking to SAMAA TV on Wednesday, Meera said that there was no party at the guest house. “We were shooting for a movie when the police in civilian clothing conducted the raid,” she said. “Ali Saleem was sleeping in the next room at the time of the raid,” she added.